A big congratulations to our Managing Director, Daryl Moss on being awarded the Surf Life Saving Australia Volunteer of the Year. It's wonderful to see him acknowledged so publicly for his lifelong passion and dedication to surf lifesaving. Well done Mossy! From Surf Life Saving Australia: Daryl has played a key role in supporting club activities across all areas of the club. 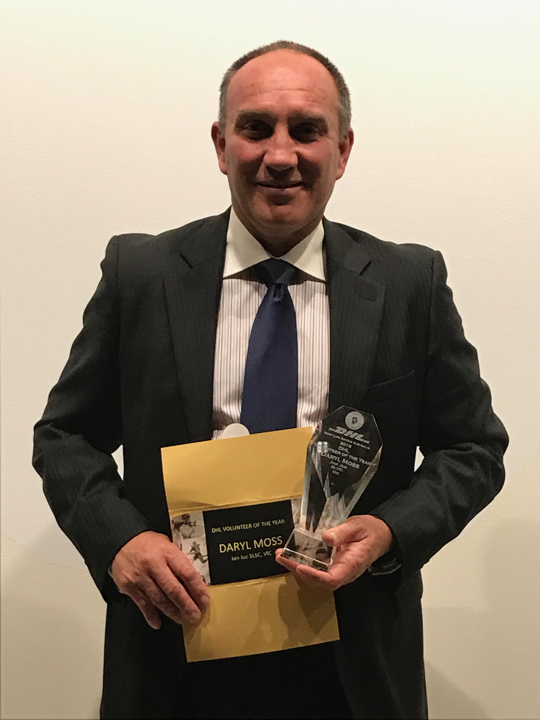 Daryl was awarded Life Membership at his club in recognition of his 20 years of service. He has taken on a new role as Club Training Mentor Manager in order to enhance the level of retention of younger members. He created the leadership pathways which encourages younger members (U21) to take on leadership roles. Daryl raises significant funds and also sponsors major fundraising events, providing substantial resources and products through his own company.